What exactly are the specific characteristics of globalisation? Is it a matter of ‘more of the same’, that is more intensification of contradictions, more closer integration of the world economic system etc.? Or has this given rise to some qualitatively new features? It has been pointed out that globalisation has prepared the technical grounds for PW. This is true. Along with this, it must be noted that it is preparing favourable political grounds also. The whole political subterfuge of independence erected as part of neo-colonialism is being badly exposed as imperialism openly pushes into all sectors of Third world countries and this is creating a serious legitimacy crisis for the ruling classes. Overall this may be seen as an accentuation of what Mao pointed out after the 2nd world war, of imperialism preparing the material and moral grounds for its destruction. It is an accentuation that has brought about some new qualitative features which were not there a decade or so earlier. One of them is the more favourable political situation in the oppressed countries. Along with this, though not in the same way, a favourable situation is emerging in the imperialist countries also as their economies are being restructured. This is throwing out large sections from employment, upsetting the stability enjoyed by permanent workers and further impoverishing the bottommost section. Of course, there are negative factors also. In the oppressed countries, the new dynamism injected by globalisation is attracting a fairly large section of the middle class who see in it an opportunity to advance. Though this is finally realised only by a small minority the illusion is still strong and turns them away from revolution. Globalisation has also given some leeway to imperialism to hold off economic crisis through the qualitative higher level of integration of various economies. The role of the Chinese economy in propping up the US economy is an example. This also means that the impact of a crisis will be more widespread. But this leeway cannot be ignored. the manufacturing the services category.” (Top 200: The Rise of Corporate Global Power, Sarah Anderson and John Cavanagh, Institute for Policy Studies) Finally, what are the implications of the compradors’ buying up large assets in the imperialist countries, in terms of the greater staying power it may give to bureaucratic capitalism and the quicker possibilities of its getting thrown into crisis in view of its wider and more immediate exposure to swings in imperialist economies? Associated with this is the new imperialist plan for restructuring agriculture in the oppressed countries. This is outlined in a US document (Foreign Aid in National Interest, USAID, 2002) where it draws attention to reinvigorate the agricultural sector in these countries through bio-tech, reforms favouring an open market and reorganisation of rural credit mechanisms. Already elements of this new intervention can be seen in India. We must think out the implications it will have, not only in terms of the greater devastation it will certainly cause but also in terms of the possible realignments it may bring about in the short term. The present situation of US existing as the sole superpower must be seen as a particularity caused by the political and military situation arising out of the collapse of Soviet social imperialism. It cannot be considered as a permanent feature of globalisation. Though the US tried to seize the opportunity given by the collapse of social imperialism to establish a permanent sole hegemony, and is still trying for this, it has not succeeded. And the chances of its failing are increasing. While it is bogged down in West Asia, other imperialist powers, notably Russia, are slowly increasing their weight in world politics. The possibility of new imperialist blocs emerging as contenders to the US is not at all remote. This is inevitably given by the dynamics of imperialism. While collusion is principal at present, contention always exists and is increasing. Contention and uneven development cannot be eliminated by military force and a globalised state is an impossibility under imperialism. Though not strictly emerging from globalisation, it has also played an important role in the new impetus gained by Islamic fundamentalism following the occupation of Afghanistan and Iraq. It is indeed a unique feature of the present situation that the US is being forced to search for a different strategy mainly because of the armed resistance in West Asia led by Islamic groups that are either revivalist or fundamentalist in their outlook and not even consistent in their anti-imperialism. This brings up two things. First, the intensity of the oppressed people/imperialism contradiction and the real weaknesses of imperialism that make it possible for even such forces to tie down a sole super power. Second, the subjective weakness of the Maoist movement and a reminder of the need to overcome it a soon as possible. A part of this subjective weakness is its analysis of Islamic fundamentalism, which still remains at a preliminary stage. While the propagation of militant materialism has its role, rationalist critiques of religion cannot replace a Maoist approach on Islamic fundamentalism. First of all we must distinguish between such movements and ideologies in the oppressed nations from those in imperialist countries. We must examine whether it is correct to club together fundamentalism and revivalism. There can be no Chinese wall separating them and the transformation that takes place once in power cannot be ignored. But they seem to exhibit an important difference in their response to imperialism. Unlike fundamentalist movements, revivalism quite usually is a willing partner of imperialism in all aspects. Further more, the role of fundamentalism as an expression of national-cultural aspirations in the oppressed nations must be properly identified. The weakening of the communist movement as well as the conscious efforts of imperialism and reactionaries to boost up fundamentalism and revivalism as a tool to block communism is evident. But we must also examine whether there has been any error or weakness in the communist movements of Third World countries to establish themselves, in all respects and all realms of society, as the only force capable of consistently defending national interests. This was an important contribution of Mao Tsetung. Islamic ideology (or for that matter any religious ideology) cannot put up a consistent fight against imperialism and cannot unleash the revolutionary potential of the masses, because of its class character and inability to rupture from reactionary relations. The Maoists must unite with all streams of opposition to U.S. imperialism and imperialism in general, in line with the policy of “Unite the many to defeat the few.” At the same time, they have to strive hard to win over broader sections of the masses to the banner of Marxism-Leninism-Maoism and People’s War. They must develop a thorough critique of fundamentalism in keeping with this aim. While it is true that the objective situation for revolution is ripening more than ever, it is not sufficient to say this much alone. In 2000, the RIM evaluated that a generally favourable international situation existed and that, though we are not experiencing the same kind of high tide of revolutionary struggle on a world scale that we have witnessed in the past and will surely see again, we can speak with confidence of an emerging new wave of the world proletarian revolution. It noted that revolution is the main trend in the world today. This is a correct evaluation that still holds true. A recent conference of CCOMPOSA had also noted that a new wave of great revolutionary struggles are appearing on the horizon. If the Maoist’s fail to recognise this ‘newwave’ and boldly strive to establish MLM as its leader by advancing revolutionary practice, People’s War, they will fail in carrying out their vanguard task. A new political turn emerged after 9/11 and the US led ‘war on terrorism’, leading to a situation where all imperialist powers and Third world ruling classes are acting almost unitedly to suppress peoples’ struggles. This raises serious challenges before revolutionary forces and necessitates more manoeuvring in particular situations. But 9/11 and the consequent counter-revolutionary ‘war on terrorism’ have not brought about a basic change in the situation. Apart from the People’s Wars going on in the world and the formation of new Maoist parties this is quite clearly seen in the stiff resistance the US is facing in Iraq forcing its ruling class to reexamine their whole strategy, the persistence and development of the anti-war movement in the US and the continuing growth of the anti-globalisation struggles despite concerted attempts by imperialists and reactionaries to use the ‘war against terrorism’ to clamp down on all struggles. At present, one important task in the ideological and political struggle within the ICM is to firmly establish this evaluation of the world situation, generally more favourable for people than for imperialism and reactionaries, and of the emerging new wave. As part of this, we must resolutely struggle against the tendency that questions this evaluation. It bases itself on the argument that Maoist leadership is absent in most of the important regions of struggle and dismisses the national resistance in West Asia as a fight between two groups of reactionaries, i.e. between imperialists and reactionary feudal strata. This argument seemingly draws attention to the weak subjective forces of revolution. But it is actually an example of imperialist economism that minimises the vital role of national liberation struggles in the world socialist revolution, refuses to distinguish between the oppressor and the oppressed and insists on judging struggles solely by the class or ideology in leadership, excluding the objective role played by them in a concrete situation. It is a repetition in a new form of the tendency that tried to dismiss almost all the national liberation struggles taking place in the late 1970’s — early 1980’s, i.e. before the collapse of social imperialism, as nothing more than examples of inter-imperialist contention. Rather than drawing attention to the need to intensify efforts to overcome the subjective weakness of Maoists so that they can seize the favourable opportunities existing in the present world situation to make the 21st century a century of People’s Wars, this tendency undermines such efforts by presenting a view that downplays favourable factors and exaggerates unfavourable ones. The struggle to achieve higher unity on the grasp of MLM, particularly Maoism, and develop it even move, is distorted by this tendency through its counterposing theoretical tasks to the task of initiating or developing People’s Wars. It thereby undermines the stress that should be given to the tasks of People’s War, by arguing that the present level of our ideology is insufficient. At any point of time our understanding of reality and grasp of our ideology will be incomplete. There can also be a lag in our ideology in keeping pace with objective developments. But this certainly is not the main reason for just a few People’s Wars in the world compared to the number of Maoist parties or the fact that most of the ongoing People’s Wars are yet to develop to a level of throwing up decisive challenges to the imperialist order. It mainly reflects on the grasp of MLM by different parties and extent to which they have succeeded in rupturing from right opportunism or dogmatism, apart from the specificities of the objective situation they face. The present level of our ideology is sufficient to initiate and develop People’s Wars. This is what needs to be stressed upon and the task of developing our ideology must be addressed in close relation to it. Another task is that of struggling for a higher and more unified grasp of the theory of People’s War, in which the synthesis of the advances earlier made in Peru and now in Nepal will have an important role. This is directly related to overcoming the subjective weakness of the Maoist movement in order to make it fully capable of seizing the favourable world situation. In this regard a more deeper and extensive, collective, summation of the experiences of People’s Wars, past and present, and preparations to initiate it, is urgently called for. This also involves developing and deepening the debate on the application of People’s War theory in imperialist countries. Related to this is the question of the socialist state system, of going beyond the heights attained through the GPCR in tackling the danger of capitalist restoration. We have the body of views and practices developed under Mao Tsetung’s leadership. His recognition of the importance of allowing dissent and opposition in a socialist society, of incorporating the right to strike in the constitution, his opposition to imposing set standards on works of art and literature, all of it encapsulated in his famous slogan of “Let a Hundred Flowers Bloom” went along with his penetrating analysis of class struggle under the dictatorship of the proletariat and the role of bourgeois right in engendering new bourgeois elements. A critical examination of the approach and practices of erstwhile socialist countries, including the GPCR, in order to clearly demarcate and expound the correct approach to socialist democracy developed under Mao Tsetung’s leadership remains to be completed. So far as the matter of approach is concerned Mao’s contributions still remain the only advanced one. Characterising a restatement of those contributions as a new synthesis will only serve to hinder the task of going beyond the pinnacles achieved through the GPCR. We must also recognize that systematising and developing this approach is not the sole task. The institutional structures of socialist society also need to be summed up and developed. It is clear that the danger of capitalist restoration will be present for a fairly long period under socialism. Therefore we must not only seek ways of preventing it, but also strive to develop institutions that will better enable the socialist roaders and the masses to initiate and develop the struggle to seize back power, if it is lost. In this regard, the proposals on arming the masses, of gradually dissolving the standing army or taking steps to avoid its alienation from the masses in the name of professionalisation, are a welcome step forward. The institutionalised leading role of the party in socialism was a development brought about by the acute class contradictions existing in this period of transition, particularly in the context of imperialism. Any proposal for institutional change that fails to address this objective compulsion is sure to fail. The dynamics of the world situation is increasingly propelling the masses into life and death struggle. The revisionists are increasingly forced to expose their true colours. But large sections of masses still continue to be influenced and controlled by revisionist or reformist forces including NGOs, such as the WSF. This seriously hampers unleashing the revolutionary potential of the masses to the fullest extent. It stresses the vital importance of stepping up struggle against revisionism and reformism. The dominant view in the ICM on dynamics of imperialism and its crises, since the Comintern period is the General Crisis theory. Though a substantial critique of the General Crisis theory from the angle of its inadequacy to explain the dynamism of the imperialist system was put forward in the 1980’s, the debate on this has yet to begin. There is no comprehensive explanation of this theory in the classics, similar to Marx’s analysis of capitalist crisis during its competitive period. Stalin’s brief explanation given in his report to the 16th Congress of the CPSU(B), starts out with correctly drawing attention to overproduction. But he treats it from an ‘under consumptionist’ approach. Moreover, the General Crisis theory’s understanding of a irrevocable, steady decline in imperialist economic growth has been upset by what has really happened. Lenin’s characterisation of the moribund nature of imperialism did not rule out its dynamism and potential for spurts of growth. But there are certain aspects of this theory that need to be synthesised. The most notable among them is its view on the change from cyclic crises seen during the competitive period (this was noted by Lenin also) to a situation where crisis is more prolonged. Its inclusion of the political factor, namely revolution, in the analysis of imperialist crisis is another important aspect that should be synthesised. In opposition to the General Crisis theory, a theory which sees inter-imperialist wars as nodal points, playing a role similar to the crises during the competitive period of capitalism, in the restructuring of capitalism has been advanced. This theory has the merit of trying to grapple with the dynamics of the imperialist system. But its basic premises are wrong. One of them is its view that competition is the inner nature of capitalism. This is then extended to argue that the anarchy/organisation motion is the principal form of motion of the fundamental contradiction of capitalism. This leads it to view the inter-imperialist contradiction to be more determining, overall. This argument on competition being the inner nature of capital is a patent misreading of Marx. Marx clearly says that the inner tendency of capital is to drive beyond the proportion, emerging from its striving limitlessly for surplus labour, surplus productivity, surplus consumption etc. He went on to add that “In competition this inner tendency of capital appears as compulsion exercised over it by alien capital, which drives it forward beyond the correct proportion with a constant march, march! (Grundrisse, p 413, underlining added) Evidently the inner nature or tendency of capital is not competition but its ceaseless striving for more surplus, emerging from its exploitative character. The capitalists experience this tendency as the compulsion of competition, since for each one of them their own ceaseless drive for more surplus is legitimate as equally as those of the others are not. To argue that, if there were not the pressure of competition capitalists would not face the same compulsion to more deeply exploit the proletariat, is to fail to realise that competition itself stems from the exploitative nature of capital, and the specific way it does this through extracting surplus value which can only be realised in exchange. Or that the anarchy of capitalism itself arises from its class contradiction, which is the principal driving force behind the more intensive and extensive exploitation of the proletariat. Thus the thesis of anarchy/organisation as the principal form of motion, which follows from seeing competition as the inner nature of capital, inevitably leads to undermining the determining role of class struggle, of revolution. Though this theory speaks about the greater role of politics, of the dynamic role of the masses, in the imperialist system, it actually goes back from the factoring in of revolution in the analysis of imperialist crisis made by the Comintern and later developed by Mao Tsetung. While the essentially under consumptionist approach of the General Crisis theory (for example its relating this factor to the reduction of imperialist world market) is to be rejected, its recognition of the role of revolution, of the basic contradictions underlying it, in giving rise to crisis, was a correct step forward and must be synthesised on a correct basis. Particularly, the immediate situation existing in the post-Second world war period, the political compulsion of containing the spreading of the communist movement and tackling the powerful thrust of national liberation movements, played a more determining role in the imperialist’s transition to neo-colonialism. The current U.S. offensive too is taking place in the context of, and mainly in response to, the emerging new wave of world revolution. In essence, it is a desperate attempt to throwback this wave. The proletariat is an internationalist class. This is the basis for the need to form its international organisation. The RIM was founded in 1984 as a step in this direction. Its leading role in the struggle against Chinese and Albanian revisionism as well as in establishing Maoism is well known, justifying its claim of being the embryonic centre of the world’s Maoist forces. The Declaration of the RIM has clearly stated that the formation of a Communist International of a new type involves developing a General Line for the ICM and an understanding on the correct form of democratic centralism for an International, keeping in mind the lessons of the Comintern. While the RIM is an important step in the direction of an International of a new type, it cannot fulfil this role. The RIM has been clear that such an International must be composed of the great bulk of genuine Maoist parties, and understanding and experience acquired throughout the world in making revolution must become part of the synthesis that will be reflected in its line and programme. Yet some important Maoist parties the world are still outside the RIM. This seriously weakens its capacities as well as the struggle to establish Maoism as the guide of the new wave of revolution. The differences that keep these parties away from RIM are well known and needn’t be repeated here. What is missing is a systematic and serious effort to narrow down these differences in order to overcome them. This is partly related to deepening the struggle for the adoption and establishment of Maoism. 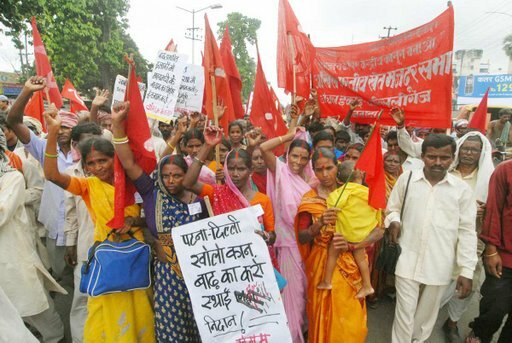 While the last decade saw struggle over the question of adopting Maoism, it has since become weak following the adoption of MLM by most of the genuine Maoist parties. But the fact is that there is still a lot of unevenness in what is understood as Maoism as well as the significance of adopting it. This is not limited to the debate whether adoption of Maoism is just a matter of change in terminology or the Stalin question. It is also reflected in a hesitation to fully embrace Maoism, in the re-appearance of ideological wavering reflected in concepts like ‘Leninism as the bridge’, caused by the setback in China and the confusion sought to be created by the Hoxaites.